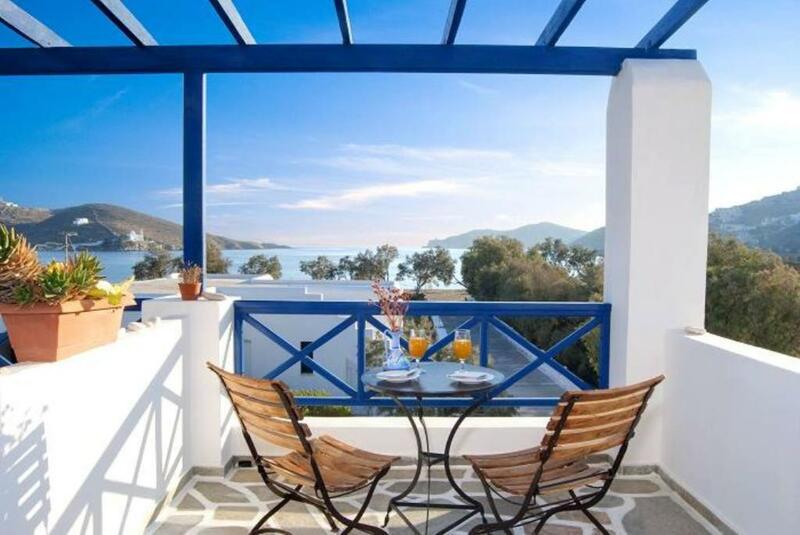 Lock in a great price for Glaros Hotel (By The Sea) – rated 8.8 by recent guests! The staff was so friendly, the apartment had a nice balcony with nice view. The location was perfect since its 5 min by walk to the bus station that can lead us to the places we wanted to visit. The hotel is really nice and the staff are really friendly. We arrived late in the night and made our way to the hotel. 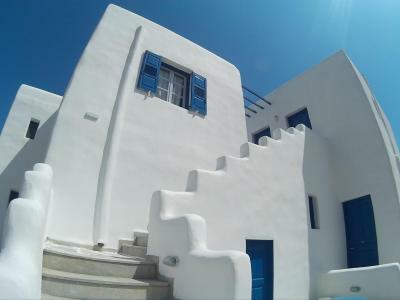 It is located directly on the sea side on 10 minutes away from the port. We had a room on the first floor with a nice balcony with sea view. The room was always clean. The room is connected with key electrical power and the air conditioning is dependent on the balcony being open or closed. We had so much fun and I recommend any one visiting to stay there. Yialous beach is also located right in front of the hotel with very nice food and music beach bar. Everything about this hotel was wonderful: the family atmosphere, the beach and sea in front, the breakfasts... I had a wonderful stay. Excellent location, about say 10 minutes walk from the Port centre. Great beach literally a stone throw from the accommodation, but far enough from the road. All in all, a great place to stay (fresh, clean, comfortable), with no rowdy crowds. Wonderful get away, and great for couples and families. Would recommend for people looking to come to Ios, explore Ios but still be able to retreat to a sanctuary of calm. No loud music or excessive alcohol consumption in sight. Fantastic. The staff were all very welcoming and helpful, and the whole hotel was lovely and clean. Everything. The host was such a nice person and friendly as was his family. The room was just perfect and very modern and comfortable. Location was perfect. Room was clean, comfortable and had a balcony with a see view. 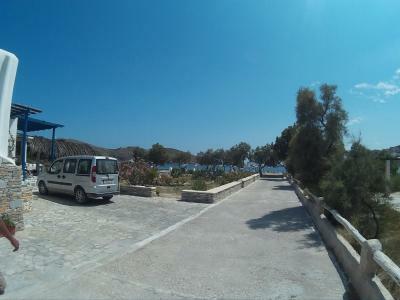 Super close to the port and the beach bar/restaurant Yialou. 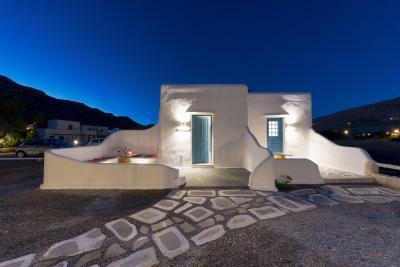 Only ten minutes away from busy and vibrant Chora. Everything was fine. Simple, clean, quiet, functional, with good taste. 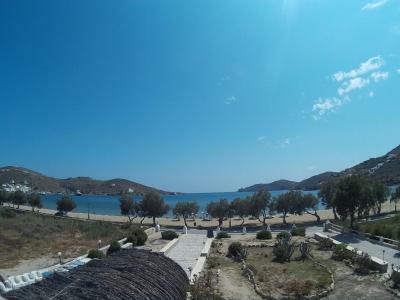 The location is perfect just 50 meters from a fantastic sandy beach. The owners and the staff are very friendly. 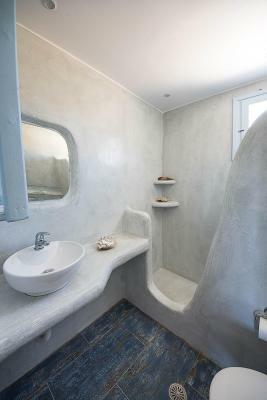 In general Glaros Hotel accommodation was excellent. Rooms are very nice and clean with great view. The location it's also very good as it is very close to the port and there is a beach opposite to the hotel. 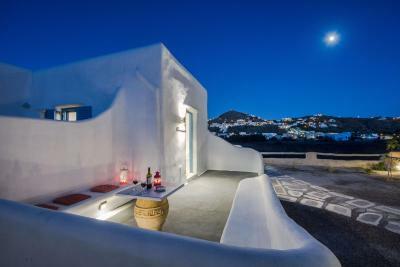 Chora is in a walking distance too. Staff is really friendly and helpful. 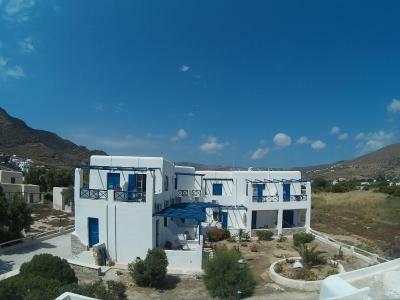 Glaros Hotel (By The Sea) This rating is a reflection of how the property compares to the industry standard when it comes to price, facilities and services available. It's based on a self-evaluation by the property. Use this rating to help choose your stay! Located right on the sandy Gialos Beach of Ios, Glaros Hotel features a snack bar, a sun terrace, umbrellas and sun loungers. 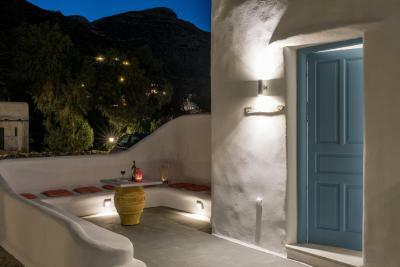 The Cycladic-style property offers air-conditioned rooms with a balcony overlooking the Aegean Sea or the garden. 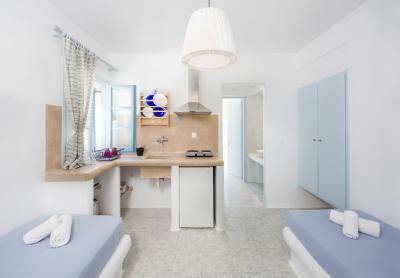 Fitted with tiled floors, wooden furnishings and soft colors, the quietly located rooms of Glaros come with a fridge and a TV. 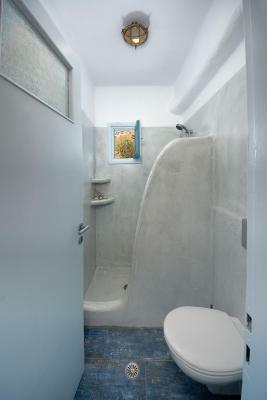 Each unit features an private bathroom with shower and hairdryer. Guests can enjoy snacks as well as a continental breakfast offering coffee or tea, bread with jam or honey, juice and cake, on the seafront terrace or right on the beach. Taverns and mini markets can be found within a short walk of the property. 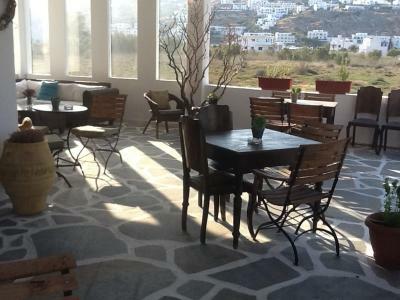 Ios Port is located 1,000 feet from Glaros Hotel, while Ios capital is 1.2 mi away. Free private parking is possible on site and free Wi-Fi is offered in the public areas. 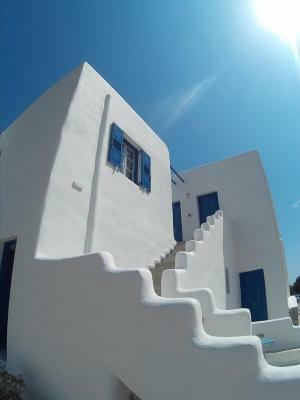 When would you like to stay at Glaros Hotel (By The Sea)? 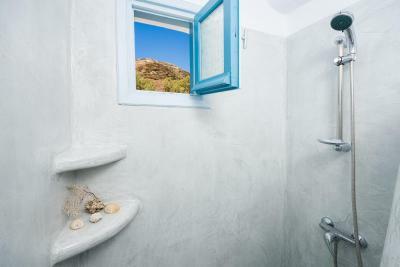 Enjoying panoramic views over the Aegean Sea, this air-conditioned room comes with a TV and a fridge. It is located on the first floor. It also includes a hairdryer and a kettle. 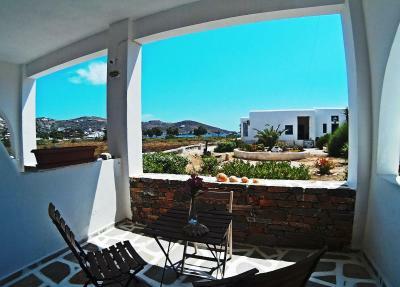 Located on the ground floor, this air-conditioned room opens out to a balcony with side sea, garden and town views. A TV, a fridge, a kettle and a hairdryer are available. Located on the ground floor, this air-conditioned room opens out to a balcony with garden and side sea views. A TV, a kettle, a fridge and a hairdryer are available. 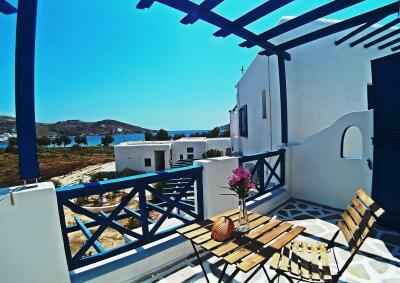 Traditionally furnished, this apartment is located on the ground floor and offers views of the sea, the garden and the town from its 2 balconies. 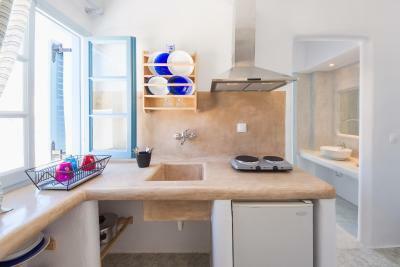 It has one separate bedroom and another room with a kitchenette and 2 sofa beds. 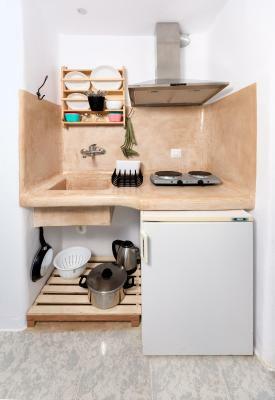 Facilities include air conditioning, a flat-screen TV and safe. 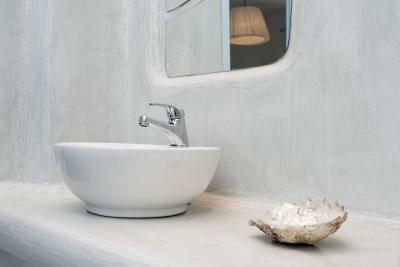 House Rules Glaros Hotel (By The Sea) takes special requests – add in the next step! Glaros Hotel (By The Sea) accepts these cards and reserves the right to temporarily hold an amount prior to arrival. Please note that breakfast is served daily from 08:30 until 10:30. There is a free transfer from Ios Port. Please inform Glaros Hotel of your expected arrival time and the boat name in advance if you want to use the service. Please inform Glaros Hotel (By The Sea) of your expected arrival time in advance. You can use the Special Requests box when booking, or contact the property directly using the contact details in your confirmation. It would have been great if the sunbeds on the beach were free of charge for residents of the hotel. Very noisy. 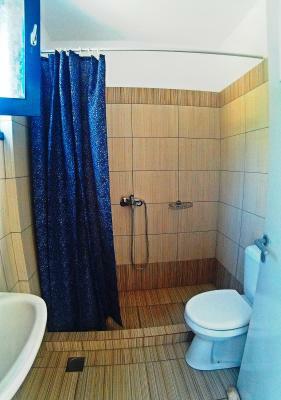 The shampoos in the bathroom could be better and the shower head should be changed, since it is very sharp. Older furniture. The doors and windows are not very secure, very easy to break into the room. Even if you are a customer at the hotel, you have to pay for the sunbed. The wifi connection was poor. If you’re easy going and have normal expectations, you’ll like it. There's nothing specific I didn't like.